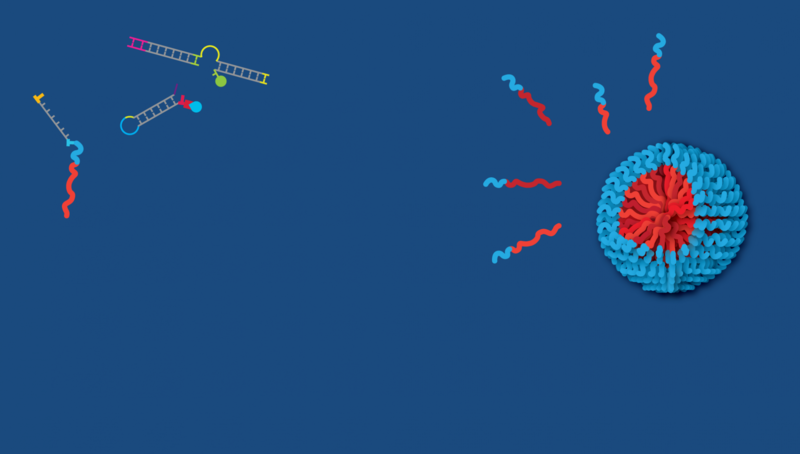 We have recently utilised metal based supramolecular chemistries for the synthesis of block copolymers, micelles, and nanoparticles. Using these nanoparticles as templates we have been able to demonstrate for the first time their mild excavation to afford hollow hydrophilic metal functionalised nanocages. These novel nanocages have been tuned to respond to external stimuli (such as pH) and their detailed properties and potential applications are under investigation. We have also explored the development of systems this system with triblock copolymer templates for excavation to form phase separated hollow nanostructures. 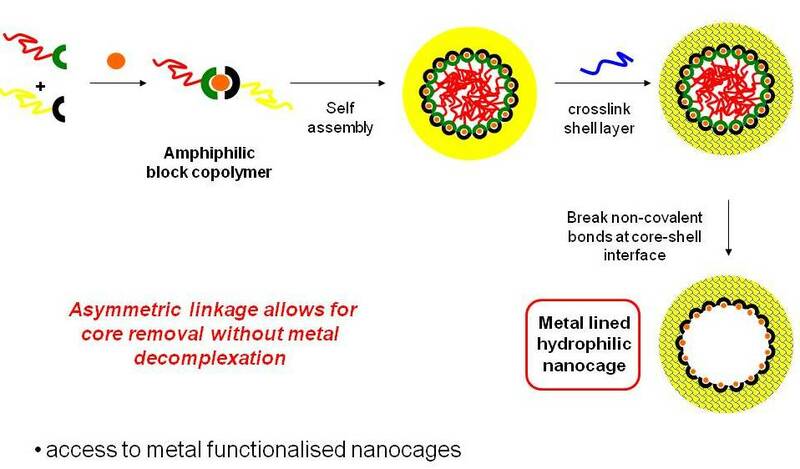 We are also exploring metal-free supramolecular systems (such as Diels Alder chemistries) for applications in biomedicine and materials science as well as hollow nanostructures which can be prepared using degradable polymers. The catalytic activity and solution properties of the these nanostructures (diffusion kinetics, responsive properties) are of interest.